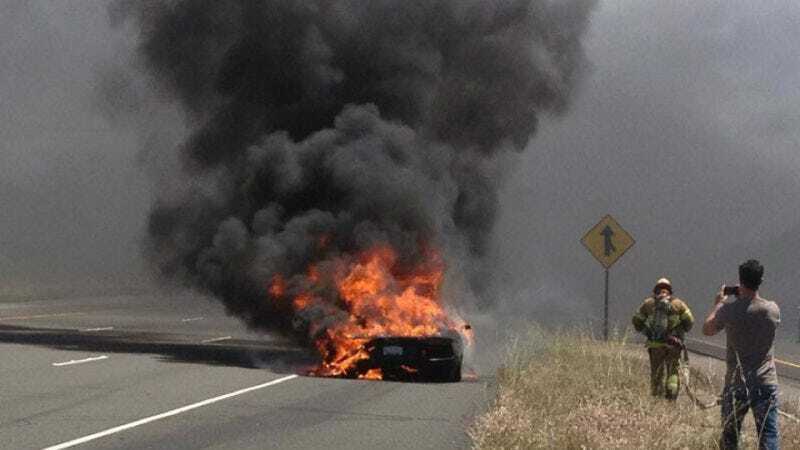 The National Highway Traffic Safety Administration, America’s auto safety regulator, issued a recall of Lamborghinis earlier this month because a faulty fuel system could potentially lead to a fire. In other news, water is wet and the earth is round. In case of fuel tank heavily overfilled and in particular handling conditions, liquid fuel could reach the carbon canister. If purge valves are reached by fuel this could affect the functionality of the fuel EVAP system. This is worsened in case of winter fuel usage. EVAP system components faults could cause fuel vapors not treated properly. With not properly treated fuel vapor, particular maneuvers, as example engine over revving at idle, could imply contact between fuel vapor and hot gasses. Especially if combined with a not approved aftermarket exhaust system this could lead to risk of fire. This doesn’t just concern plain jane Aventadors, either. Limited editions such as the Anniversario, Miura Homage, Pirelli Edition, Super Veloce and the Veneno Coupe and Roadster are all affected by this recall. Basically, anything that has Aventador-derived tech. Correct me if I am wrong, but isn’t fire a large part of the appeal that makes people buy a Lamborghini in the first place? I don’t really see what the problem is here.